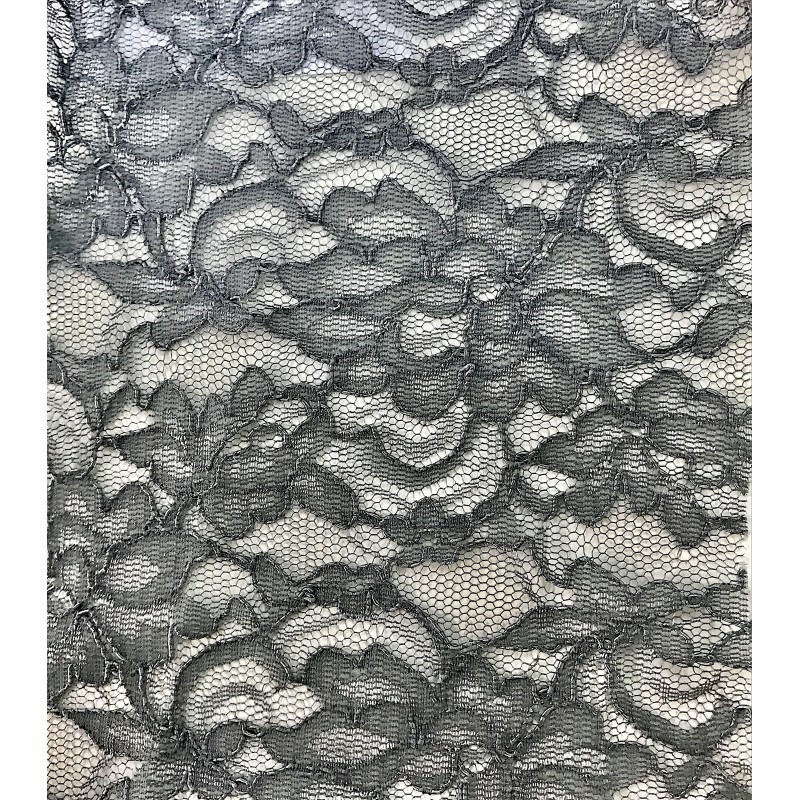 This soft and lightweight gray non stretch lace has a nice fluid drape. It is a very versatile fabric than can be used for an array of fashion applications. 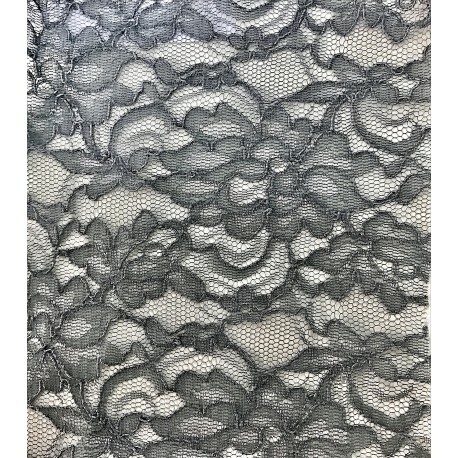 Perfect for an evening dress, cocktail dress or top.